Here at the Lawler Group, we have demonstrated our abilities to find the right candidates for the right positions. We are one of the top employment agencies in Milwaukee and we utilize every tool we have to ensure we provide exceptional candidates. Companies with a growth oriented mindset and companies on the rise have turned to our expertise to find candidates for their new executive positions. These companies rely on us because of our experience and our ability to provide talent that excels. Our employment and recruiting services extend beyond Milwaukee and we are always up to provide qualified candidates for a challenging position. For more information on our recruiting and employment services or if you would like to schedule a consultation, call us today at 262-241-1600. You can also email us at tim@lawlergroup.com and one of our friendly associates will respond shortly. At the Lawler Group, we provide our expert job recruiters with some of the best on-board training available in the industry. This training allows them to refine their skills and become more efficient when selecting candidates for and available position. Training is ongoing and is through the MRINetwork which has an expansive network spanning across 38 countries. Our recruiters have access to MRINetwork’s resources through 800 individually owned offices. Through this network, they continue to develop their skills and abilities through ongoing national conferences. Another advantage we have over many recruiting firms, is that we partner with our clients to better understand the talent they are looking for and to get a feel for their work atmosphere to help provide candidates that can not only get the job done right, but ones that work well with the employees in the rest of the company. 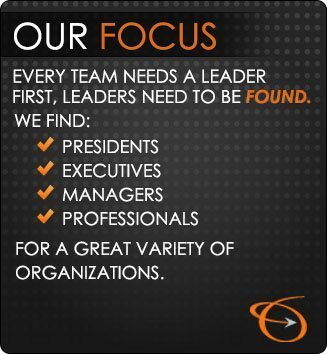 If you are looking for an executive that will help take your company to the next level or if you would like to schedule an appointment, call us at 262-241-1600. Or email us at tim@lawlergroup.com and we will get back to you as soon as possible.